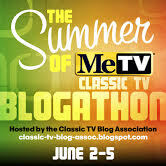 This review is part of the Summer of MeTV Classic TV Blogathon hosted by the Classic TV Blog Association. Click here to check out this blogathon’s complete schedule. As a mental exercise, try to imagine someone other than Robert Reed and Florence Henderson playing The Brady Bunch’s parents. As important as those actors were to the show’s success, many others could have probably managed a respectable “wise father” or “concerned mother” role. Now, picture other children replacing the familiar Brady kids. As appealing as the entire juvenile cast was, 1970s casting agents could surely have supplied other hunky teen boys and All-American girls with “hair of gold” to play what were basically average kids. It is much harder to envision anyone other than Ann B. Davis wearing Alice Nelson’s blue uniform. She was as central to The Brady Bunch as she was on the show’s opening-titles grid. Ann B. Davis was irreplaceable. That’s what made her passing such sad news, even though she had lived a full and seemingly happy, spiritually fulfilled 88 years. Few actors have kept their private lives as private as Davis did. All her obituaries outline the same basic facts: She was born in Schenectady, New York, and raised in Erie, Pa. As a child, she caught the performing bug while putting on shows with her twin sister Harriet. Her mother was an amateur actor, and her older brother was a professional dancer who would appear on Broadway. Ann enrolled at the University of Michigan with plans to be a doctor, but soon switched her focus to acting. After graduating and heading to California in 1948, she did theater and nightclub work until getting her big break. That was her supporting role as Schultzy on The Bob Cummings Show (Love That Bob), for which she would win two Emmys. The show ran from 1955 to 1959 and was a major ratings success, and Davis’ role as Cummings’ lovelorn, plain-Jane assistant brought her fame. The show was never widely syndicated, so it is unfamiliar to most people my age and younger. As you can see from this clip, Schultzy shares certain qualities with Alice Nelson and other classic TV “old maids,” such as Sally Rogers and Jane Hathaway—a lack of feminine graces combined with desperate, unfulfilled man-hungriness. As Alice, Davis delivered many self-deprecating punchlines. As a kid, I saw Alice as she presented herself to the audience—plain, overweight, old. Having reached Alice’s age myself, I see things differently, of course, and wonder how Davis felt about her portrayal. She claimed to take it in stride. “I know at least a couple hundred glamour gals who are starving in this town. I’d rather be myself and eating,” she said. Her Brady Bunch role combined a poor self-image and an unflattering costume with corny jokes and broad physical humor. If everyone was doing the hula, Alice would be throwing her back out. If a bucket of paint appeared, Alice would be stepping in it. If someone built a dunk tank in the back yard, Alice was getting wet. It all added up to a role many actors would have hated. Indeed, Davis’ co-star Robert Reed, went nearly mad with disgust over the show’s scripts. He would fire off multi-page memos to producers about the show’s implausibilities, many of which involved Alice. “Even a laugh machine would balk,” he wrote about typical tag scene. Davis was different. Like Alice delighting in the dunk tank, she threw herself into her role and made the best of it. In fact, Davis saw Alice’s wacky predicaments as opportunities for her to shine comedically. And while she didn’t take herself too seriously, she cared enough about her role to create a mental backstory for her character that explains Alice’s single-minded devotion to the Brady family. In the post-Brady years, the show wasn’t a millstone around Davis’ neck as it was for so many of her co-stars. Shortly after it ended, she became a born-again Christian and curtailed her show business career. She spent many years living in an Episcopalian religious community, first in Denver and then in Ambridge. Pa. She worked with a mission helping homeless people and traveled the country talking to church groups. Eventually, she settled in San Antonio, Texas, with retired Episcopal bishop William Frey and his family. She also compiled a Brady Bunch cookbook in 1994, while admitting that cooking and child care were not really part of her skill set. She looked back on her Brady experience with fondness. “Wouldn’t we all love to have belonged to a perfect family, with brothers and sisters to lean on and where every problem is solved in 23 minutes?” she said. In the early 1990s, when Brady nostalgia was at its height, many experts advanced theories about the show’s appeal to Generation X. My college sociology textbook even explored the subject. To me, the answer has always been simple: Creator Sherwood Schwartz created a world as a child would wish it to be—a world of good-natured siblings, goofy fun, and people who rally around to solve your every problem. From my perspective, Mike and Carol were definitely the parents, but Alice was something even better: A cross between an adult and a friend. She would join in your sack race, bake your cookies, dress up as a pilgrim for your home movie, and clean your room—and she would do it all with a smile. Everyone has parents, but a child can only dream of having an Alice. And no one but Ann B. Davis could have brought this dream to life in such an endearing way. I must admit that the Alice-centric episodes of The Brady Bunch don’t rank among my favorites. Playing tough “Sergeant Emma” was probably fun for Davis, but none of the Brady double-role episodes work for me. And “Alice’s September Song,” about Alice’s shady old flame Mark Millard, bored me as a child and saddens me now. I much prefer Alice as a cheerful supporting presence in a typical episode. Here are two quintessential Alice moments, when she gets involved with the kids and pays the price with her dignity. I do like getting to see a different side of Alice now and then, such as when she turns on the charm for a surprisingly lascivious Jackie Coogan. In the late 1970s, Davis did some commercials that played on her Brady image (although, in the second example, they use the name of her Bob Cummings Show character). Davis had a few small film roles in the 1960s. You can catch a glimpse of her here in the Rock Hudson-Doris Day film Lover Come Back. Did any single 1960s TV stars NOT appear on The Dating Game? This is cringe-worthy viewing, but Davis is a good sport. You can see more of Ann B. Davis in action during MeTV’s 3-hour tribute marathon this Sunday, June 8, at 12 p.m. EDT. This entry was posted in Television and tagged 1950s, 1960s, 1970s, Ann B. Davis, Blogathon, Brady Bunch, Classic Television, Classic TV Blog Association, MeTV, Nostalgia, Television. Great idea for a post on the blogathon. LOVE THAT BOB was last widely seen in the 1980’s from about 1983 to 1987 on CBN (and locally here, on Channel 39 in DFW). It’s a really funny series that deserves rediscovery. It was a rather ubiquitous rerun throughout the 1960’s and early 1970’s, but that was before my time. Apparently a big problem is that both production companies associated with it (Laurel-McCadden) are long gone, and about two-thirds of the 173 episodes are now in the public domain. About 20 full episodes are on YouTube though. She’s more famous for Brady Bunch, but LOVE THAT BOB contains Ann B. Davis’ best work IMO. Lots of opportunities for her to show her stuff. One episode to look out for is “The Sheik”, which I think is on one of the PD DVD sets. Thanks for the information about Love That Bob. I’m definitely going to have find time to watch the Love That Bob episodes that are available on Youtube and DVD. It certainly had a strong supporting cast, with Rosemary DeCamp and Dwayne Hickman as well as Davis. Appreciate your comments! Nice tribute. It’s heart-warming to see Davis receive so much love and respect this past week. Thanks for writing this. I really hope she knew before she died how beloved she was to her fans. Thanks for commenting! A sincere, heartfelt homage to Alice! I do remember her from LOVER COME BACK (one of my favorite movies). I agree that she would have been tough to replace on TBB. That was a great clip showing the supportive Alice having a heart-to-heart with Jan and talking about her sisters Emily and Myrtle. Ann B. Davis will be missed! Glad you liked the tribute. She was an unforgettable performer. I agree, it’s so nice that you focused on the great Ann B. Davis. Even as a kid, I remember sticking up for Alice when I felt like she was getting pushed around or maybe being too hard on herself. Ann was perfect in the role and my childhood would not have been the same without her. Great comment! I often felt bad for Alice when she was too hard on herself, too. She was a real treasure. 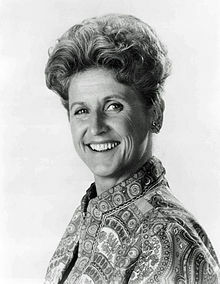 There’s a role for Ann B. Davis that many have forgotten but I remember vividly. At the very time she was playing Alice, she appeared on a 1970 episode of “Love, American Style” in which she and character actor John McGiver played a couple whose son comes home from college…with a bag of pot. And they end up smoking it. No wonder the show came on so late at night, could you imagine all the fast talking our parents would have to have done after we saw Alice smoking pot? My favorite “Brady Bunch” episode featuring Alice was the one where she ended up being shunned as a “squealer” and got replaced by a cold fish of a maid. The kids all tracked down Alice at a restaurant where she was working to get her to come back. The moral of that episode was identical to the theme of this blog post: Alice was irreplaceable, if not always appreciated. 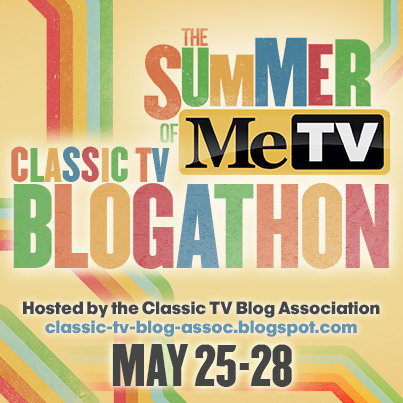 Yes, that episode is great–it’s one of the ones MeTV is showing tomorrow. The kids acted like jerks in that one, so it was nice to see them realize how irreplaceable Alice really was. Wow–that Love, American Style sounds like a real departure! I need to try to see that one. Wonderful tribute to my fave from the Brady Bunch. She had great comic timing – she was the best part of the show! Yes, her timing was great. Several of the other Brady cast members, interviewed this week, mentioned how much they learned from her. Thanks for commenting. Thank you SO much, Amy, for sharing these wonderful memories of Ann B. Davis, who not only made us laugh, but who was an inspiring human being! Thanks for commenting! In all the interviews I’ve seen, Davis radiated happiness. She really was inspiring. Thanks. Really told this well. Regards from Thom at the immortal jukebox. This was a wonderful piece. She got some great lines on the show that were among its best laugh-out-loud moments, and she got some terrible lines that almost make me cringe. But she brought the same talent and professionalism to every performance. I hope she knew how beloved she was among generations of classic TV fans. I, too, hope she knew before she died have beloved she was. Somehow, I have a feeling that she did. Thanks for commenting! Awesome tribute Amy. Your post highlights how key Ann B. Davis was to the Brady Bunch. I remember a lot of great one-on-one interactions between Alice and one of the Brady kids. She always had the special touch. And the “Alice Available” scene is a classic. Yes, Jackie Coogan and Ann B. Davis are both very funny in the “Alice Available” scene. Alice was good at relating to the Brady kids at their own level. It’s ironic that in real life Davis said she didn’t know much about relating to kids. This was a really good post about a character I’m – this is shocking! – not entirely familiar with…at least I was not growing up. The Brady Bunch just never aired on television when we were young and it has been only recently that we have come to enjoy and appreciate Alice and the whole Brady gang. Very well written Amy! Thanks! My experience with The Brady Bunch is the opposite of yours–I watched it constantly as a child but haven’t revisited it that often as an adult. Looking at it recently with fresh eyes really made Ann B. Davis’ comedic contributions stand out to me.